Will Municipal Bonds Lose Their Tax Advantage? Municipal bonds, which are issued by states and local communities, are a popular choice for those who are looking for a fixed income investment in a taxable account. The reason for this is that the income generated by muni bonds is tax exempt, which boosts their effective yield as compared to taxable bonds. Beyond being a boon to investors, this tax break is a great help to the communities that issue the bonds, as they can pay a lower interest rate and still be competitive with higher rate bonds that don’t share this tax advantage. But this all comes at a price… According to the Joint Committee on Taxation, the federal government will lose out on over $200B in tax revenue due to the muni bond tax exemption between 2010-2014. Given the above, it’s perhaps not surprising that lawmakers are talking about reforming the tax treatment of municipal bonds. Of course, according to Jason Zweig, this has been talked about over 100 times since 1918, and it’s never happened. But with all the recent interest in reducing the deficit, it seems that more people are talking about it than in the past. 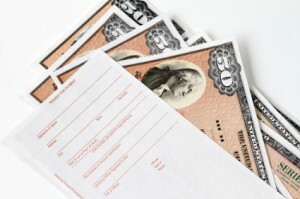 Aside from taking away a well-loved tax shelter from investors, the taxation of municipal bonds would essentially equate to the federal government taking money away from local communities, as those communities would have to start paying higher interest rates to make their bonds attractive enough to draw investors. Given the rough shape that many states are currently in, it’s hard to imagine Congress acting to make things worse, but you never know. One possibility is that, if the tax exemption was taken away, the feds would provide subsidies to local communities to help offset the added cost, but at a rate lower than the tax exemption. Who knows… As I noted above, this has been debated multiple times in the past and has never gone anywhere but, given the current economic climate, it’s probably worth keeping an eye on these discussions. 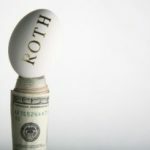 Buying Your Way Around Roth IRA Contribution Limits? Do You Have a Good Idea for Tax Reform? Taxes are at all time highs right now even though the top tax brackets are lower than they have historically been. How do you think that is possible? Think about it. You have any actual facts to back that statement up? Because if you bother to actually research something for yourself (instead of repeating an unnamed “News” channel’s talking points), you will see that tax rates are currently at an extremely LOW level compared to historical rates. This will never happen due to constitutional concerns. @Nate: You have no clue man. Taxes are higher than they have ever been. Don’t drink any more liberal kool-aid. @BG – Sorry, the tax code is too temping a tool for Congress to attempt to enact non-fiscal agendas, I don’t think either the GOP or DNC is really that doing away with them. Though in tough times it is politically easier to close loopholes than make a new tax or increase rates. I’ll going to throw my speculation in the “they wouldn’t dare” column. While ideologically it will continue to be proposed another 100 times this next century, however it would be a political A-bomb for all other (including the moderates that would be needed to pass any effort) as well as bucking directly against other strongly held ideologies in each party – so a quagmire. Pragmatically, the revenue gained would be smaller than less politically charged options. This sort of stuff happens on the Hill all the time, so I’ll probably not heed the advice, “itâ€™s probably worth keeping an eye on these discussions,” until I hear this sudden outcry from every state in the Union, at which case I’ll now someone actually got it out of committee. All these loopholes need to be closed. I say no tax favored status for anyone. All a loop hole does is favor one group at the expense of another. We can add this nonsensical idea of eliminating the “tax advantage” from municipal bonds as yet another wild and hysterical scare tactic to the already long list perpetuated by Congress and in particular, the Tea Party reps. There are many reasons why tax exempt municipal bonds exist and continue to make sense for the sound operation of this country but the newly elected House members haven’t the intelligence to understand much, if any, of all of it. @John – So you haven’t seen where the Federal Govt. has been cutting State and Local funding? There would be a HUGE net effect with municipalities suffering the burden. As such, I echo your sentiment that this would be a bad idea, despite our relative perceptions of its impact. Better option would be to finally repeal the Bush tax cuts. No need for us to “enjoy” the lowest real tax rates of the past several decades at the same time we’re struggling with fiscal sustainability. So they make it more expensive to operate and then give them more subsidies to offset? They are essentially making two transactions that have no net effect. any time you make a transaction it consumes resources. One more method to keep as many smaller operations as dependent as possible on the federal government for continued survival.